Research support and intervention play a vital role in the day-to-day functioning of the Translational Science Center of Wake Forest University. Since its inception in October 2009, the TSC has fully or partially funded several innovative pilot studies designed to elucidate the biochemical, physiological, psychological or behavioral mechanisms involved in the maintenance, deterioration and/or therapeutic amelioration of functional health in older adults. Projects are chosen based on their use of multidisciplinary collaborations and the translational approach used to examine issues important for preserving and promoting functional health in older adults. Below is a sampling of past, current and upcoming studies. This project was led by Center members Miller and Marsh (Wake Forest University Health & Exercise Science). It also actively involved Center members Rejeski (Wake Forest University Health & Exercise Science) and Kim-Shapiro (Wake Forest University Physics), and auxiliary members Burdette and Laurienti (Wake Forest University Health Sciences). This study mainly examined the effect of a 3-day low vs. high nitrate diet, with and without nitrate supplementation (beetroot juice), on the kinetics of plasma nitrate and nitrite concentrations in eight sedentary older adults with low physical function. Secondarily, it assessed subject’s resting blood pressure along with physical performance while on the diets. Furthermore, magnetic resonance imaging (MRI) was performed to document changes in blood flow in the brain due to the dietary manipulations. The design of this study was to provide insight on how future trials can best manipulate nitrate/nitrite levels. This project was led by Center members Peter Brubaker (Wake Forest University Health & Exercise Science) and Martin Guthold(Wake Forest University Physics). The goal of the project was to explore potential relationships between age and cardiovascular health on fibrin fiber properties. The project recruited younger (n=5) and older (n=5) healthy men as well as older men with cardiovascular disease (n=5). Blood samples were processed to obtain plasma so that fibrin fiber properties could be assessed using atomic force microscopy/ fluorescence microscopy techniques in the Guthold lab. This project remains underway for another year and is a collaboration of Center members Gloria Muday, Erik Johnson, and Wayne Pratt from the Wake Forest University Biology and Psychology departments. The goal of this pilot project is to evaluate the extent to which a critical metabolic enzyme, AMP-activated kinase (AMPK) modulates feeding behaviors. Experiments that assess behavioral consequences of altered AMPK activity via specific pharmaceutic agents, activation status of the AMPK molecule, and regulation of transcriptional events via AMPK are in progress. This two-year project is led by members Anthony Marsh and Jack Rejeski (Wake Forest University Health & Exercise Science), Paul Pauca (Wake Forest University Computer Science), and Jonathan Burdette and Paul Laurienti (Wake Forest University Health Sciences). During Year 1, a multi-sensory training program was developed for low functioning older adults that is relatively inexpensive and can be used in assisted living facilities, senior centers or, with minimal training, by individuals in their own homes. The design of this program involved input from investigators in computer science, neuroscience, biomechanics, and behavioral science. The study training program required the development of a software program linked to the new Microsoft “connect” technology. The software developed consists of programs in the form of “games” that challenge physical and cognitive function simultaneously. The software is modular in design and provides increasingly more difficult physical and central processing demands. In the upcoming Year 2, they will conduct a 6-week randomized controlled pilot study that compares the multi-sensory training program to a physical activity only group among older adults that have poor physical function. At baseline and again at an 8-week follow-up, MRI-scans will be taken to conduct network analyses and studies of blood perfusion. Secondary outcomes of interest will include tests of physical function, cognition, and gait variability. A project, lead by member Michael Berry (Wake Forest University Dept of Health& Ex Science and co-leaders Gary Miller Wake Forest University Dept of Health & Exercise Science and Dr. Norman Adair (Wake Forest University Health Sciences) will look at the problem of COPD patients who have lower levels of physical activity compared to age-matched controls and why they must limit physical activities requiring normal exertion. 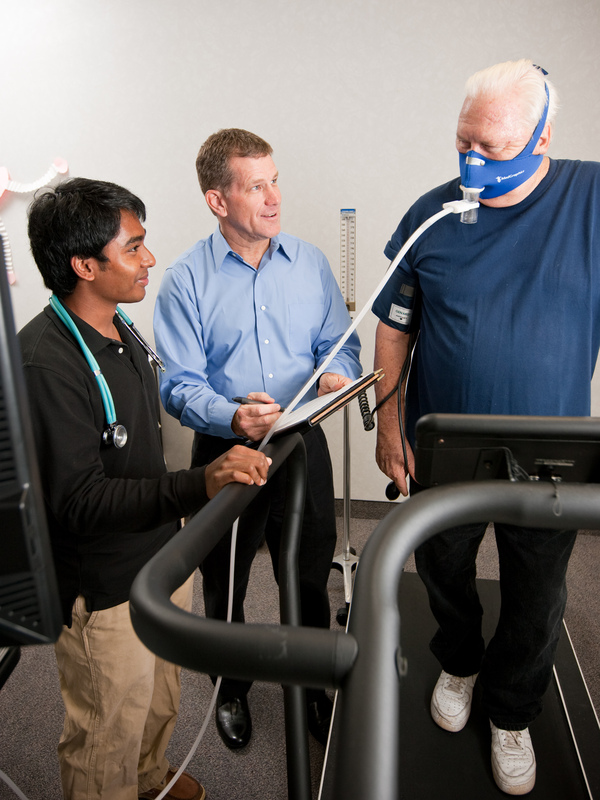 The primary aim of this pilot investigation is to evaluate the effect of acute nitrate ingestion on the submaximal constant work rate exercise capacity (as measured by exercise time) of patients with COPD as compared to placebo ingestion. If nitrate supplementation can reduce the oxygen cost of exercise and thereby increase exercise tolerance in COPD patients, this could potentially serve as a therapeutic agent allowing these patients to retain physical function and remain active thus delaying or even preventing the loss of independence. To achieve this goal, 12 to 15 COPD patients will be enrolled into a double-blind, placebo-controlled cross-over study. A pilot study lead by member Jonathan Burdette (Wake Forest University Health Sciences) will examine the consequences of the current obesity epidemic in aging especially as it relates to declines in physical function, cognition, and memory. Using the developing scientific field of network science to investigate the brains of overweight and obese young and elderly subjects, they will identify associations of altered brain networks with physical disability and cognitive dysfunction. The primary aim will be to characterize the effects of body mass index (BMI) and age on resting functional brain networks, and identify relationships between complex brain network organization and physical ability and cognitive function. Extensive physical function and cognitive tests will be performed in 30 individuals—15 young subjects and 15 elderly subjects with a heterogeneous mix of BMI measurements. Obesity is a common risk factor in the development and recurrence of a wide array of chronic diseases. TSC Member Kristen Beavers with co-investigator Mara Viotlins (Wake Forest University Health Sciences) will explore how aging is associated with increases in adiposity as well as alterations in fat distribution, including the preferential increase in abdominal fat, particularly visceral fat, combined with a decrease in subcutaneous fat. Research shows that visceral fat is associated with greater risk for metabolic and cardiovascular disease, compared to overall obesity. Caloric restriction, resulting in fat loss, ameliorates some of the metabolic consequences of obesity and is effective in reducing ectopic fat depots; yet despite the benefits, weight loss is not routinely recommended for older adults since it may lead to skeletal muscle loss and potentially exacerbate the age-related impairments in muscle function and mobility. Weight-loss therapies for older adults that target ectopic fat compartments while preserving muscle mass may provide the maximal metabolic benefit while minimizing the risk of loss of physical function. Recent data suggest that the consumption of soy products may favorably affect body composition. In addition to displacement effects which commonly occur when soy foods replace higher fat dietary protein sources, constituents of soy, including protein and isoflavones, may also have protein sparing, properties that may reduce global and ectopic fat stores while preserving lean tissue. This question is underexplored in aging adults and favorable results could significantly impact weight management efforts in this population. This project is lead by TSC member Barbara Nicklas (Dept of Internal Medicine) and Dr. Christina Hugenschmidt (Dept of Genomics) of the Wake Forest University Health Sciences center. Since obesity and associated diseases such as type 2 diabetes are increasingly being recognized as detrimental to cognitive function, a body of research also exists suggesting that physical exercise is beneficial for cognitive function in older adults; however, the physiological mechanisms underlying these cognitive changes are not clear. Few studies have used neuroimaging to examine how changes in brain structure and function relate to cognitive improvements, and the relative contributions of diet and exercise to cognitive function are unknown. This study adds neuroimaging and cognitive testing to an ongoing NIH-funded study comparing the added benefit of weight loss during an aerobic exercise training intervention in obese older adults to explore the neurophysiological mechanisms associated with cognitive performance due to weight loss. This project is led by Center members Peter Brubaker (Wake Forest University Dept of Health & Exercise Science) and Martin Guthold (Wake Forest University Dept of Physics). It will examine the effects of an acute bout of exercise (combining aerobic and resistance training) in five healthy younger adults as well as 5 older adult (>65 yrs) males with CHD and/or established vascular risk factors. The primary aim is to determine what effects acute exercise has on the physical properties of fibrin, such as increased stiffness, decreased elasticity, or decreased extensibility and if age/disease status has any relationship to these measures. In addition to obtaining measures on fibrin properties, they will measure traditional clotting factors (tissue plasminogen activator (TPA), plasminogen activator inhibitor (PAI) fibrinogen, prothrombin fragments, thrombin-antithrombin complex, and fibrin degradation products, as well as platelets and traditional lipids/lipoproteins as secondary aims. Lead by member Jasmina Varagic (Wake Forest University Health Sciences) and colleague Mark Chappell (Wake Forest University Health Sciences), this project will determine if curcumin treatment prevents or ameliorates the development of cardiorenal injury in OVX-D rats. In lieu of studies that demonstrate pro-oxidative actions and deleterious effects of high dose curcumin, their primary aim (Aim 1) will examine the cardiorenal-protective effects of low and high dose curcumin in estrogen-depleted diabetic mRen.Lewis rats; and Aim 2 will establish whether curcumin treatment prevents the development of cardiorenal injury in OVX-D rats by restoring the balance within the tissue RAS. Once they establish that curcumin ameliorates cardiorenal damage in OVX-D rats through the restoration of the balance within the cardiac and renal RAS, they will then address the mechanisms for RAS regulation in future studies (R01 submission to the National Center for Complementary and Alternative Medicine) utilizing cultured cardiac myocytes, fibroblasts and proximal tubules. More specifically, they will examine whether alterations in NADPH oxidase isoforms NOX2 and NOX4, as well as CRP signaling mediate curcumin-induced changes in RAS expression and function in these cells systems. A pilot study lead by member Jonathan Burdette (Wake Forest University Health Sciences) will use network science techniques to investigate the brains of obese, older adults with CVD and MetS who are part of the Cooperative Lifestyle Intervention Program (CLIP II) study. CLIP II is a recently funded NHLBI study that builds on the completed CLIP study. The current CLIP II study will provide the first large scale randomized controlled clinical trial to evaluate the effects of diet-induced weight loss (WL) on mobility in obese, older adults with cardiovascular disease or the metabolic syndrome as compared to WL combined with physical activity. The dual primary outcomes will be the 400 Meter Walk Time and muscle strength. Because uncertainty exists about the best approach for promoting WL in older adults due to concerns with the loss of lean mass, the design also permits a contrast between aerobic exercise training + WL and resistance exercise training + WL on muscle strength. As an adjunct to CLIP II they will apply brain imaging and network techniques to provide a unique opportunity to help uncover brain physiological changes associated with physical activity plus weight loss versus weight loss alone. This project would demonstrate how cross-campus resources can bond to strengthen and position Wake Forest University to be the international experts on brain network analysis as applied to physical and cognitive ability in the obese aging population. TSC member Tina Brinkley (Wake Forest University Health Sciences) will further examine how circulating markers of AGE and RAGE in the blood can predict the development of heart failure among asymptomatic adults with known risk factors. This project will measure circulating levels of the major AGE carboxymethyl-lysine (AGE-CML), soluble RAGE (sRAGE), and endogenous secretory RAGE (esRAGE, which may act as a decoy ligand) in stored blood samples from 497 adults aged 55-85 yrs with diabetes, hypertension, or coronary heart disease who are concurrently being followed over 3-5 yrs for the occurrence of flash PE warranting hospitalization. The primary aim of the project will be to determine whether higher AGE-CML and sRAGE and lower esRAGE predict incident heart failure in older adults at high cardiac risk. The secondary aim will determine whether the relationship between AGE/RAGE and heart failure is mediated through arterial stiffness (i.e. increased MRI-derived aortic pulse wave velocity) and/or endothelial dysfunction (i.e. decreased plasma nitrite). The Effect of Nitrites on Exercise Intolerance in Older Patients with Heart Failure and Preserved Ejection Fraction. Lead by senior investigator Dalane Kitzman (Wake Forest University Health Sciences) and collaborators Daniel Kim-Shapiro (Wake Forest University Dept. of Physics), Jack Rejeski (Wake Forest University Dept. of Health & Exercise Science), Kylie Kavanaugh (Wake Forest University Health Sciences), Tina Brinkley (Wake Forest University Health Sciences), Peter Brubaker (Wake Forest University Dept. of Health & Exercise Science); and Timothy Morgan (Wake Forest University Health Sciences), the team will explore whether dietary NO3- can improve exercise capacity and quality-of-life in older patients with heart failure and preserved left ventricular ejection fraction (HFpEF). The long-term secondary aims are to determine whether the reduced peak AVO2diff in HFpEF is related to reduced exercise skeletal muscle perfusion, and if so whether beet root juice improves skeletal muscle perfusion. They will (1) test the feasibility of recruitment, retention, and compliance for a randomized trial of dietary NO3- in older patients with HFpEF; (2) test the feasibility of performing the baseline and follow-up measurements of exercise capacity, muscle strength, quality-of-life, arterial and cardiac function, skeletal muscle perfusion by contrast ultrasound, and nitrate/nitrite assays; (3) acquire data needed to estimate treatment effect size and measurement variability over time in order to develop sample size estimates for a future, larger, NIH funded trial; and (4) assess the reasonablity of the hypothesis that dietary NO3- can improve exercise capacity and quality-of-life in older patients with HFpEF. Dr. Leann Grobin (Wake Forest University Health Sciences) will use an observational cohort study of patients aged 70 years and older who are undergoing elective, non-cardiac surgical procedures to describe ways that single, non-invasive measures of general health status (nutritional status, muscle strength, and mobility) can predict early morbid events in older surgical patients and demonstrate how these measures can be easily incorporated in to a busy preoperative clinic. To do this she will examine nutritional status and prevalence of malnutrition or “risk of malnutrition” among older patients (> 70 years of age) who are undergoing elective non-cardiac surgery; 2) characterize the mobility status of this patient population; (3) determine if nutritional status, strength and mobility are either independently or jointly predictive on early postoperative complications; and (4) to compare the results from aim 3 with the Fried Frailty score which predicts postoperative outcomes in geriatric populations but is impractical to use. Co-investigated by Bruce King and Patricia Dos Santos (Wake Forest University Dept of Chemistry) this project will look at the physiological basis of the positive effects of a high nitrate diet that results from the conversion of the ingested nitrate to NO, a known vasorelaxant. Given that the first step in this conversion, the reduction of nitrate to nitrite, is mediated by bacteria residing in the oral cavity that possesses nitrate reductases, the ultimate benefits of a nitrate-rich diet depends on understanding these processes. Therefore, the working hypothesis for this study is that nitrate conversion to nitrite occurs in the oral cavity through bacterial reduction followed by chemical conversion to NO. The aims of the proposal are to (1) completely characterize nitrate reduction (both bacterial and chemical) in the mouth by determining the product and kinetics of these reactions under different conditions; and (2) identify the predominant bacterial species capable of nitrate reduction in the mouth. Lead by senior investigator Gary Miller (Wake Forest University Dept. 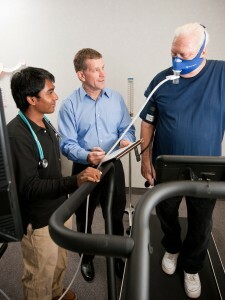 of Health & Exercise Science)) and collaborators Michael Berry (Wake Forest University Dept. of Health & Exercise Science), and Daniel Kim-Shapiro (Wake Forest University Dept. of Physics) the team will continue investigating the age-related insulin resistance of muscle protein anabolism by using beetroot juice, a high dietary source of inorganic nitrate, in combination with resistance exercise training and a protein supplement in nondiabetic older adults. The central hypothesis driving this work is that beetroot juice in combination with a protein supplement and resistance exercise training will improve muscle strength and physical function, and increase skeletal muscle mass in older adults. This is predicated on earlier work that shows older adults have reduced post-prandial muscle protein synthesis that is due to regional insulin resistance and specifically the reduction in regional vascular dilation from insulin. By increasing blood flow and tissue perfusion in an environment with increased amino acid, this detriment can be restored. Consuming a food source naturally rich in dietary nitrate, such as beetroot juice, has been shown to result in improved tissue blood flow. Successful completion of our study would demonstrate feasibility and provide preliminary data to support the hypothesis that beetroot juice with nitrates will increase muscle strength in older adults. This innovative line of research could result in new treatment strategies for older adults with impaired physical function and reduced skeletal muscle mass. Thus, this study will investigate the feasibility of delivering and participant acceptance of a 10-week intervention using dietary beetroot juice in combination with protein supplements and resistance exercise training in older adults. Secondary outcomes will examine the effect of the interventions on total body and regional skeletal muscle mass and muscle strength, as well as total body and regional body fat in a cohort of healthy older adults. Project investigators Mary Ann Knovich, M.D. (Wake Forest University School of Medicine) and Daniel Kim-Shapiro (Wake Forest University Dept. of Physics) hypothesize that increasing plasma nitrite using dietary nitrate will improve platelet function and red cell deformability and decrease mean corpuscular hemoglobin concentration (MCHC) in patients with sickle cell disease. As a result they will test this hypothesis through administration of daily intake of a beet juice beverage to patients with sickle cell disease for 28 days. They will measure MCHC, red cell deformability, and platelet function (activation and aggregation) in response to the intervention. Lead by senior investigator Gary Miller (Wake Forest University Dept. of Health & Exercise Science) and collaborators Michael Berry (Wake Forest University Dept. of Health & Exercise Science), and Daniel Kim-Shapiro (Wake Forest University Dept. of Physics) the team will continue investigating the age-related insulin resistance of muscle protein anabolism by using beetroot juice, a high dietary source of inorganic nitrate, in combination with resistance exercise training and a protein supplement in nondiabetic older adults. Project investigators Mary Ann Knovich, M.D. (Wake Forest University School of Medicine) and Daniel Kim-Shapiro (Wake Forest University Dept. of Physics) hypothesize that increasing plasma nitrite using dietary nitrate will improve platelet function and red cell deformability and decrease mean corpuscular hemoglobin concentration (MCHC) in patients with sickle cell disease. As a result they will continue to test this hypothesis through administration of daily intake of a beet juice beverage to patients with sickle cell disease for 28 days. They will measure MCHC, red cell deformability, and platelet function (activation and aggregation) in response to the intervention. Project investigators Jack Rejeski and Kristen Beavers will measure biomarkers of bone formation (bone-specific alkaline phosphatase and osteocalcin) and bone resorption (C-telopeptide crosslink of Type 1 collagen) in a subset of 56 CLIP-II (Cooperative Lifestyle Intervention Program-II—PI: Rejeski, R18 HL 076441) participants at baseline, 6- and 18-months. It is hypothesized that this measurement will allow them to see the effect of exercise (progressive walking or strength training programs) on changes in bone mineral density in older adults during intentional weight loss. Investigators Michael Berry, PhD, Dept of Health and Exercise Science, and Peter Morris, MD, Section on Pulmonary and Critical Care Medicine, Wake Forest University Health Sciences take their collaboration to look at the effects of an early exercise intervention on older mechanically ventilated critically ill patients skeletal muscle weakness in this population an additional step. They propose that nitric oxide (NO), recently identified as an important biological messenger, could potentially serve as therapeutic agent to enhance regain in skeletal muscle strength and physical function during the in- and post-hospitalization periods. 15 to 20 post-mechanically-ventilated ICU survivors will be enrolled into the intervention and given nitrate-rich beetroot juice or placebo as part of the intervention. Data from this trial will be used to support an application to support a full-scale randomized trial examining dietary nitrate supplementation on post-ICU and Post hospital discharge in older ICU patients. Drs. Christina Soriano, WFU Reynolda Campus, Dept of Theatre and Dance, and Christina Hugenschmidt, Wake Forest University Health Sciences Geriatrics, collaborate to further refine a protocol for data collection on physical function and cognition changes associated with improvisational movement training in older adults. The proposed pilot has two main aims: (Aim 1) develop a library of movement activities that can be used to train others to lead an improvisational dance intervention; and (Aim 2) collect cognitive and physical function data before and after an improvisational dance intervention in a community sample of older adults with and without cognitive impairment. Professor Soriano will recruit study participants from a lifelong learning class in improvisational movement. This class will be conducted twice a week for 45 minutes over 10 weeks. Pre and post measures will include analyses for Expanded Short Physical Performance Battery (eSPPB); Timed Up and Go (TUG); and postural sway using an Advanced Mechanical Technology Incorporated (AMTI) AccuSway biomechanics force platform. Cognition will be tested with a battery of tests that targets executive function and executive function skills, such as task switching. Memory and depression scales will also be administered. Proposed by senior investigator Barbara J. Nicklas, PhD, (Section on Gerontology and Geriatric Medicine, WFSM), and collaborator Kristen Beavers, PhD (Wake Forest University Dept. of Health & Exercise Science) and collaborator Barbara Nicklas (Wake Forest University Health Sciences, Geriatrics, the project will explore how intentional weight loss, even when combined with moderate exercise and adequate protein and calcium intake, results in loss of skeletal muscle mass and bone mineral density, in addition to fat loss. Because muscle mass and bone mineral density (BMD) also decline with aging, the need to identify the mechanisms for the weight loss-induced decreases of muscle and bone, and novel strategies that disrupt these mechanisms, may be especially important in older individuals. Moreover, in older adults, muscle and bone loss may not be recovered even if lost weight is regained, making it imperative to identify interventions that prevent/minimize muscle and bone loss during periods of active weight loss. The goal of this pilot is to determine the feasibility and collect early efficacy data on the daily use of a weighted vest during a weight loss (WL) intervention in older adults. A total of 36 sedentary older (age=65-79 yrs), obese (BMI=30-35 kg/m2), sedentary men and women will undergo a 5-month caloric restriction intervention (targeting a 10% weight loss, WL) with randomization to either WL with progressive weighted vest use (VEST+WL), or WL without vest use (WL). Assessments of body composition, physical function and safety/satisfaction with vest use occur at baseline and immediately after the 5-month interventions, with an additional DXA scan five months after intervention cessation to investigate legacy effects of the vest use. They will also collect and store blood samples from participants for later analyses to analyze systemic markers of bone turnover and muscle accretion in the stored samples which will provide preliminary data on potential mechanisms associated with the magnitude of weight loss-induced muscle and bone loss, and potential effects of externally added weight on these mechanisms. Data from this study will provide a rationale for conducting future research designed to: further identify the mechanisms for muscle and bone loss with weight loss, refine and improve the weighted vest intervention, and compare its use with and without conventional, recommended exercise in a larger future trial. This project, lead by TSC investigators W. Jack Rejeski (Wake Forest University Dept. of Health & Exercise Science) and Paul Laurienti (Dept. of Radiology, Wake Forest School of Medicine) aims to 1: To examine how decline in physical function with aging is related to community structure with the somatomotor cortex; and 2: To examine whether sedentary behavior (SB), light physical activity (LPA) or moderate-vigorous physical activity (MVPA) at year 8 in subjects involved in the Look Ahead trial is associated with higher levels of community structure within the somatomotor cortex. Look AHEAD is a multicenter, randomized clinical trial (N = 5,145) that was designed to examine the effects of an intensive lifestyle intervention (ILI) in comparison to diabetes support and education (DSE) on reduced morbidity and mortality from cardiovascular causes. As a sub-study in Look AHEAD, the University of Pittsburg collected resting state brain scans on 60 participants (30 in ILI and 30 in DSE) at year 8. They also collected acceleromtery data on these participants at this time point which provides a rich data set for describing their health and physical function across the full 8 years of the study. This TSC-supported project will conduct secondary data analyses in preparation for an R01 application with a submission goal of fall 2015 or spring 2016. Lead my members Shay Soker, PhD (Wake Forest Institute for Regenerative Medicine) and Anthony Marsh, PhD (Wake Forest University Dept. Health and Exercise Science. The study’s purpose is to obtain preliminary data on the effects of eccentric exercise on the cellular and molecular and functional recovery from muscle injury aged rats. The preliminary data will be used for a competitive research proposal on the use of a physiologically relevant model of muscle injury, combined with a clinically relevant exercise routine, in order to support recovery from muscle injury in the elderly population. The first aim (Aim 1) of this intervention in rats will examine the effects of eccentric exercise durations on the functional recovery after compression injury. Downhill treadmill walking will be used for eccentric exercise from 24 hours to 4 weeks after injury, 5 days a week. Isometric torque of the injured and contralateral uninjured muscle will be measured weekly. Laser Doppler will be used to monitor perfusion of the limb and nerve velocity assays will be used to monitor innervation. Three different “doses” of exercise on the treadmill will be compared. We have already performed these experiments in “sedentary” animals, which will serve as a control for the exercised rats.